GPS trackers are revolutionizing the American school bus commute. 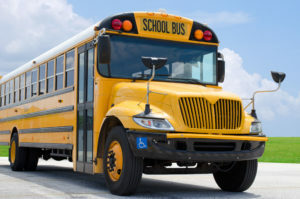 Thanks to innovations within both GPS tracking hardware and software, parents and schools have more visibility than ever before in regards to their children’s bus. A lot of parents – and even fleet managers! – are still in the dark about how GPS tracking technology actually works. Here’s what you need to know. GPS stands for “Global Positioning System.” The system itself is a network of two dozen satellites (plus three extra, just in case!) orbiting the earth at about 12,500 miles up. Originally developed for military use, GPS is now utilized by millions of specially-built GPS devices at any given moment. No matter where you are on earth, at least four GPS satellites can “see” you at any time. The satellites use something called “triangulation” to pinpoint your GPS device’s exact location on earth; satellites send signals to the device at the speed of light and the receptor determines where you are based on how long that signal takes to bounce back. Once at least three signals are received (i.e. “triangulation”), satellites can accurately tell exactly where your GPS device is located. GPS devices can be very small or very large, depending on their storage capacity. GPS receivers themselves are hardware devices, typically contained inside a user-friendly casing. 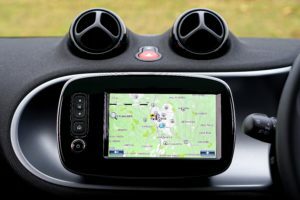 GPS devices most often come part-and-parcel with processing software, too, so the data they generate can be displayed and used. How Can Satellites Track Moving GPS Devices? Because signals from the satellites are being sent out and bounced back constantly. Satellites actually have atomic clocks on board to ensure they keep accurate time. In fact, the whole GPS network is designed to take into account special “time effects” that happen when gravity changes. It’s amazingly complex! What is the Global Navigation Satellite System? The GNSS is simply the name of the satellite tracking system used for modern navigational purposes (as opposed to pinpointing a stationary military target, for example.) The GNSS satellites send and receive completely safe microwave signals which register details on time, speed, location, and even direction. These signals can be used to provide real-time and historical navigational data. How Does Bus Tracking Utilize GPS? There are two different ways to process the data generated by GPS satellites. “Passive tracking” happens when the GPS system itself stores the data around its own journey, such as an in-car navigational system. “Two-way GPS” (also known as active tracking) sends the information to a centralized database for processing. Most bus trackers operate using two-way GPS. Only two-way GPS allows for real-time GPS monitoring on a commercial scale. Viafy has developed a breakthrough suite of hardware and software technology designed to further the power of GPS data. Our two-way GPS tracking system offers real-time monitoring of buses via an easy-to-use app for parents, and it also provides administrators with unparalleled granularity on the back-end. Want to find out more about Viafy’s groundbreaking technology? Reach out.